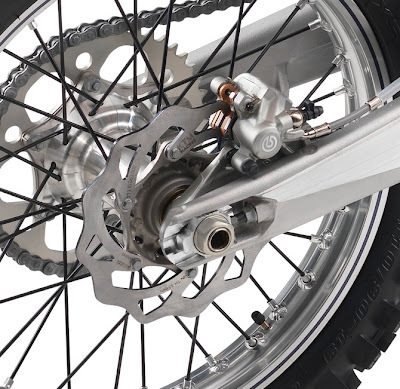 The 2013 two-strokes get U.S. spec suspension settings, including the shorter shock lengths for the first time. 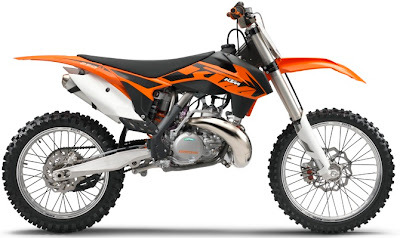 Additionally, the 250SX get stiffer fork springs, DDS (Damped Diaphragm Steel) clutch, Moto Tassinari VForce4 reed block and all-orange plastic. The two-strokes do not get the stiffer head tube reinforcing or thinner frame cradle tubes that the four-strokes get. All the 2013 bikes will get the larger 25mm rear axle (accessed by a 32mm nut) and the beefed-up one-piece cast swingarm. The spokes are anodized black. The 250SX two-stroke will get the diaphragm clutch from the 450SXF. It uses a single Belleville washer-style spring, steel basket and is 5.5mm narrower than the previous coil spring clutch. 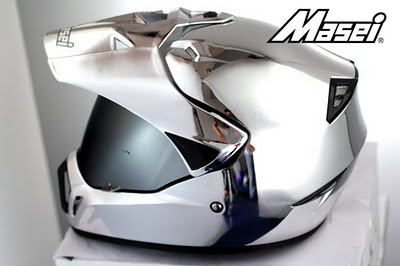 Plus, it gets a new clutch cover. 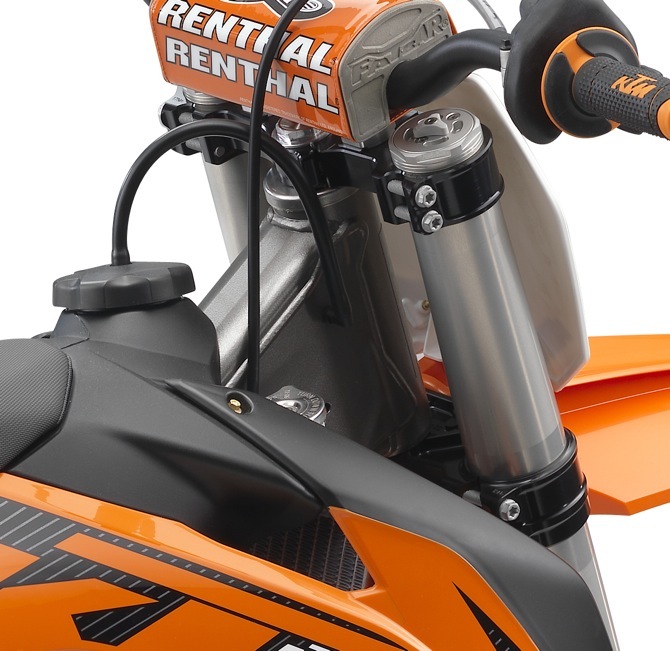 Visible in this photo is the new thread-on gas cap, which uses very unique internal threads, the redesigned triple clamps, taller Renthal 827 Fat Bars and two-tone grips.